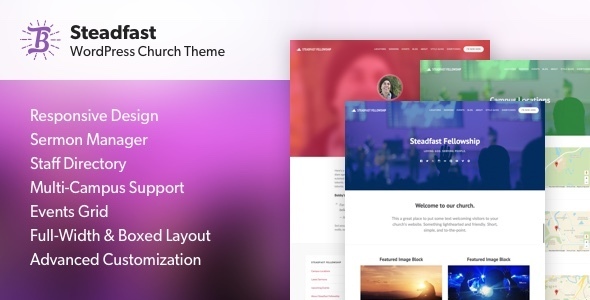 Steadfast is a responsive WordPress theme built for churches. It features event listings, sermon management, a staff directory and even multi-location support. Customize with full-width or boxed layouts, page and header backgrounds, flexible typography, social media icons and more.